What do you get when you mix the Disney creative team with Michael Jackson, Francis Ford Coppola, and George Lucas? The most expensive movie ever made per minute! "Captain EO" is a 3-D movie starring Michael Jackson made for Disney theme parks in 1986. Sit back, relax, and let the dulcet tones of Whoopi Goldberg take you on a journey back to 1986 when a 3-D space oddity starring Michael Jackson was just what Disney thought the public needed. in "The Making of Captain EO." Captain EO is on a mission to change the world through the power of song-and-dance-powered lasers. It has a motley crew of creatures. 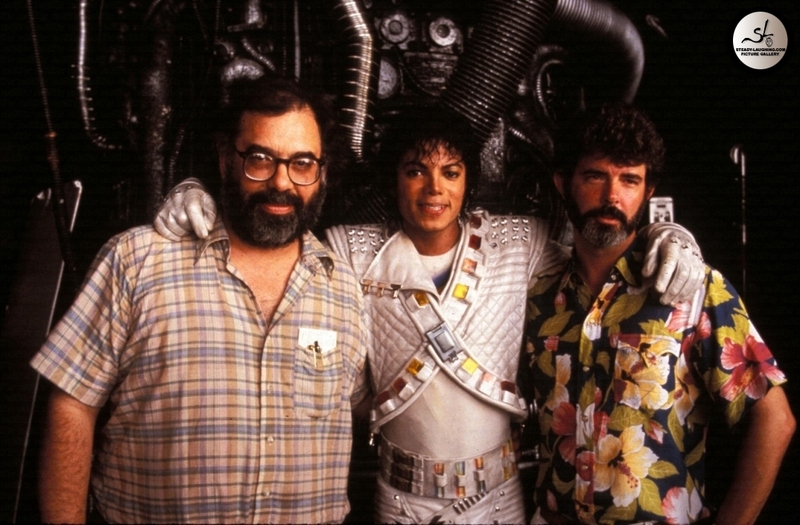 Before hiring the performers to play Captain EO's crew, Francis Ford Coppola had Michael Jackson improvise job interviews with the actors in character because METHOD ACTING. You can watch the interviews in the "Making of Captain EO" video above. It has one of the greatest dance numbers of ALL TIME. Just try to sit still during "We Are Here to Change the World." It was choreographed by Jeff Hornaday of "Flashdance" & "A Chorus Line" fame. TOTALLY 80s! Anjelica Huston as the Supreme Leader will haunt your dreams. "Anjelica Huston accepted the role without realizing she'd have to be suspended from cables for most of the shoot. The Supreme Leader design would years later serve as the primary inspiration for the design of the Borg Queen (who also was suspended in midair by cables) from Star Trek: First Contact (1996) and Star Trek: Voyager (1995)." Captain EO fells the Supreme Leader with a very serious "Woo!" Seriously. His "Woo" powered lasers turn spidery Anjelica Huston into pretty rainbow goddess Anjelica Huston. And it ends with a happy dance sequence! It's grand opening was held on September 12, 1986 at EPCOT Center. It replaced an older (but just as trippy) 3-D film called "Magic Journeys." At the time, it was the most expensive film ever produced on a per-minute basis. Captain EO's use of its 3D, lasers, and smoke effects resulted in the seventeen-minute film costing an estimated $30 million to produce in total averaging out at $1.76 million per minute. It was beloved by all. So much so that these cast members at Euro Disney filmed a re-enactment. Because you really need to see Eeyore busting moves like MJ. Fun fact: Comedian Doug Benson was one of the back-up dancers. It closed in most Disney parks in the mid-nineties. Which makes sense, considering family-friendly Disney probably wanted as much distance from Michael Jackson as possible during that time. It regained popularity after the death of Michael Jackson in 2009. It can be seen again in most Disney Parks worldwide today! 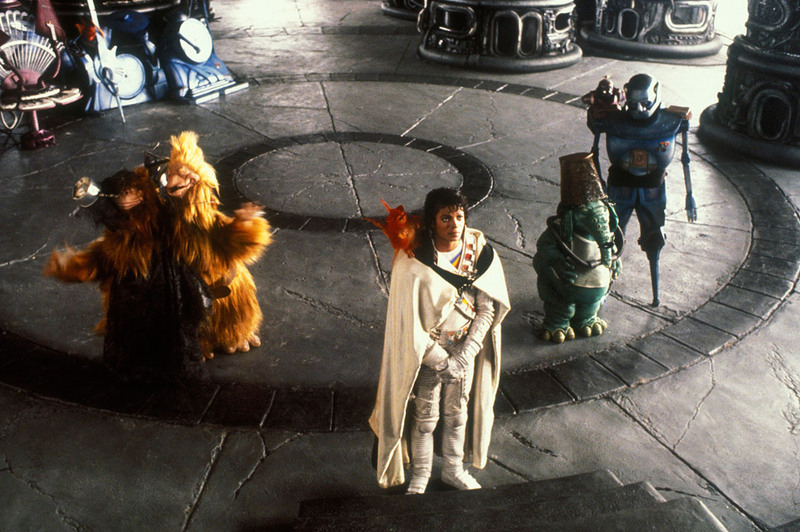 Watch "Captain EO" in full now!